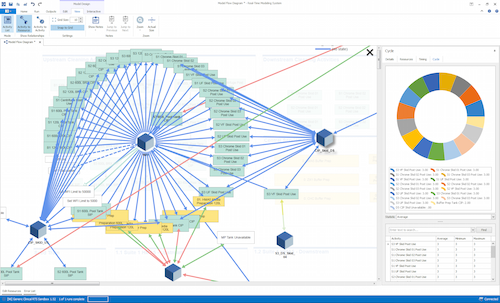 Yokogawa has released FAST/TOOLS R10.04, the latest version of its real-time operations management and visualisation software*, and has released it for sale this month as part of its OpreXTM Control and Safety System family. 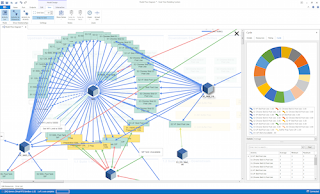 A highly flexible and scalable supervisory control and data acquisition (SCADA) solution suitable for use in everything from smart IoT-enabled applications to enterprise-wide integrated operations spanning multiple sites and subsystems, FAST/TOOLS R10.04 will help customers derive maximum value from their investments over the entire system lifecycle. Driven by the rising importance of factors such as the IoT, big data analytics, and the cloud, a digital transformation is underway that is leading to the convergence of information, operational, and engineering technologies (IT, OT, and ET) in unmanned, remote-controlled, and enterprise-wide operations. To benefit from near real-time transaction processing and other capabilities that already are well established in the IT domain, a growing effort is being made to achieve seamless integration and convergence with the OT domain. Recognising that most enterprises will take a profit-driven approach and seek to reduce risk with their management and control solutions, Yokogawa continues to pursue innovations that will ensure its customers are able to transform their data into meaningful information and get the most out of their investments. FAST/TOOLS R10.04 supports the digital industrial ecosystem with information models that simplify and enhance sub-system integration with the CENTUM VP integrated production control system. For improved integration with CENTUM VP, the graphics integration tool that is provided with FAST/TOOLS has been enhanced. Along with the FAST/TOOLS portfolio of supported industry standard interfaces and protocols which has the addition of support for Mitsubishi MELSEC iQ-R series controllers and the FINS protocol used by Omron programmable controllers. To make it easier to incorporate FAST/TOOLS into an existing IT infrastructure, authentication and authorisation services are now handled as one centralised process for all system users. One benefit of this is that all logged-on/off activities will be visible in one window, allowing for improved audit trailing and user management. In addition, when making use of an Active Directory (AD) for the single sign on (SSO) mapping function, users with profiles in multiple AD domains can have a merged user profile in FAST/TOOLS, in accordance with authentications and authorisation credentials. The FAST/TOOLS encryption process has also been improved to provide more secure communication between server and clients. The FAST/TOOLS graphics editor is able to generate native displays to the HTML5 standard for both information-rich PC-based applications and light-view tablet and smartphone applications. An enhanced graphics editor simplifies the task of creating screens that deliver exactly the data operators require. The main tagets markets include oil and gas upstream, midstream gas and (multi-product) liquid pipelines (for which the standard EPMS applications suite is available), petrochemicals, chemicals, renewable energy, power, pulp and paper, pharmaceuticals, food, mining, iron and steel, water distribution and wastewater treatment. It is envisiged for use in monitoring, operation, control, data collection, and data storage for geographically distributed facilities. Over the past decades FAST/TOOLS has evolved from centralised SCADA/MES and HMI software to an enterprise automation environment. This state-of-the-art IIoT enabled industrial SCADA software benefits our customers through improved visualisation, collaboration, decision support, configuration, communication, security, deployment, connectivity, operational alarm management/analysis, and history data storage/management. For added reliability, FAST/TOOLS can be set up to run on systems that employ Yokogawa’s advanced dual-redundant technology, enabling automatic switch-over to a backup system in the event of a hardware failure. Emerson has acquired Bioproduction Group (Bio-G), a leader in simulation, modelling, and scheduling software for biomanufacturing. Bio-G’s scheduling and modelling systems combined with Emerson’s extensive life sciences technology and expertise portfolio will help companies bring therapies for cancer, diabetes and other illnesses to patients sooner. Manufacturing facilities are complex systems with thousands of interconnected assets and tasks. Bio-G’s Real-Time Modelling System™, part of Emerson’s acquisition of Bio-G, automatically captures these relationships, enabling accurate and reliable predictive analysis for biomanufacturing. Life sciences companies continually look to accelerate the production of patient therapies and the Bio-G Scheduling software helps them accurately predict future plant resource availability to optimise manufacturing production. The scheduling software delivers an instantaneous view, accessible across an organisation, into the current and future state of the plant, providing decision support to help increase facility uptime and reduce schedule-related product losses. 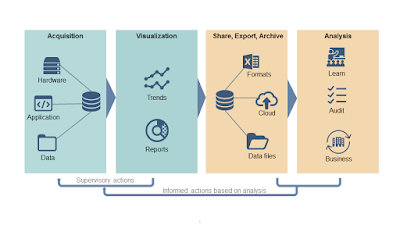 By connecting analytics and modelling tools with data from automation and operations systems—including Emerson’s DeltaV™ distributed control system and Syncade™ manufacturing execution system—the scheduling software provides a unified view of operations, maintenance, quality and corporate systems. Bio-G’s software will become a part of Emerson’s Plantweb™ digital ecosystem, a comprehensive IIoT portfolio that expands digital intelligence to the entire manufacturing enterprise. “We continue to work closely with industry leaders to develop the manufacturing technologies and approaches needed for next-generation biomanufacturing. With this acquisition, we can deliver even more ways to accelerate life sciences manufacturing,” said Tom Snead, president of life sciences at Emerson. Organisations invest hundreds of millions of dollars building manufacturing facilities to bring medicines and therapies to patients. The success of those efforts and their operations often depends on the facility’s actual production meeting the facility’s designed production. Bio-G’s Real-Time Modelling System™ provides debottlenecking, capacity engineering and technology transfer analytics to deliver a comprehensive evaluation of a facility’s design and provide confidence prior to project execution and capital expenditure. The modelling framework accurately identifies and quantifies bottlenecks, as well as determines the effectiveness of proposed solutions across all areas of a manufacturing facility. This modelling system helps accelerate the process of bringing therapies from clinical trials to full-scale manufacturing to patients by validating a facility’s potential for manufacturing success. Fabric tension testing guarantees the fabric being used on furniture frames meets the high quality needed for durability, comfort and support. Having the incorrect fabric tension can lead to fabric tearing, poor posture support, visually poor fabric quality and a corresponding loss of customer satisfaction and a decrease in sales and profit. Different shapes, fabrics and styles of furniture meant two main problems. 1. No starting point of where to apply the force. 2. No consistent reference point to measure from. Trent Thermal Technology needed to create an advanced universal fabric tension tester. To measure both fabric tension and fabric movement, even on different styles of furniture framework and fabrics. Calibrated to UKAS traceable standards with an Intuitive4 load cell indicator, it was able to offset the pad weight and triggers, with less than 3 grams of force. 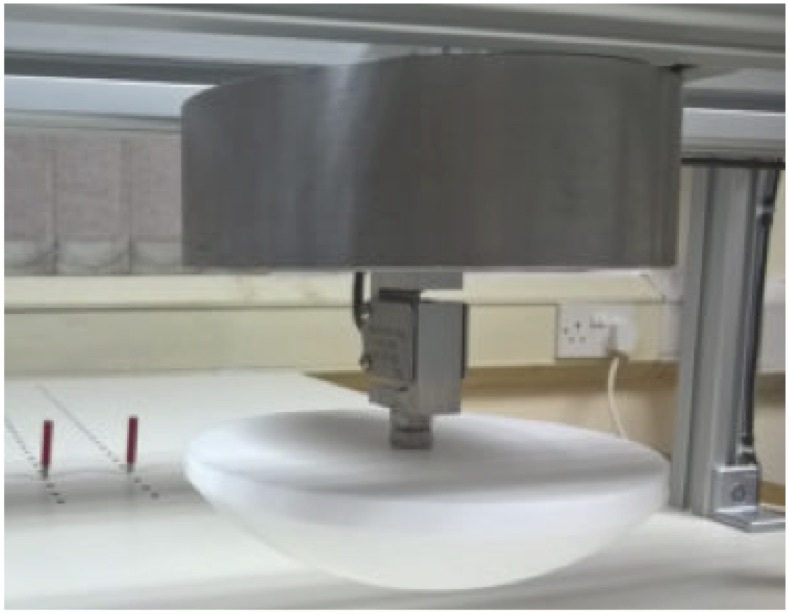 Thanks to its high precision, the miniature s-beam load cell indicated the vertical force being applied within ±0.03% accuracy. 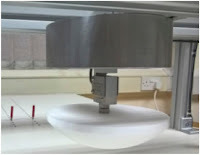 Plus, the miniature s-beam load cell acted as a pressure sensitive re-set switch for an industrial LVDT displacement transducer, which was used to monitor the deflection of the fabric under a pre-determined load. On initial contact with the fabric, the output from the Intuitive4 load cell indicator triggered a secondary input to an AML/IE displacement transducer, which “zeroed” the movement range. As the weight found its natural resting position, the distance between the first point of contact and the final resting position was displayed (in mm) on an Intuitive4 lite process panel meter. Constructed from stainless steel, the AML/IE industrial displacement transducer has a dust-tight IP65 protection rating as standard, making it safe to use even in this high fibrous environment. We can also offer high temperature and fully submersible versions to IP68 rating to suit you. Thanks to our industrial LVDT’s wide range of configuration options, the displacement transducer was able to be tailored to their exact application. Plus, its friction-free operation means it has an incredibly maintenance-free, long operating life. Both the miniature s-beam load cell and the industrial LVDT were calibrated with Intuitive4 digital indicators to UKAS traceable standards, certifying their traceability to strict national standards. The Intuitive4 digital indicators offer superior resolution and outstanding accuracy thanks to their 20 bit A/D converter and 10 point linearisation. Plus, with their modular construction, you only pay for what you need, saving you money from your already tight budget. These Intuitive4 digital indicators were housed in a PCC2 desktop enclosure for a portable, neatly styled and robust, on-site desktop monitoring setup. The PCC enclosures are available in different formats that are able to house up to 12 individual panel meters with custom enclosures available for greater quantities if your application demands it. 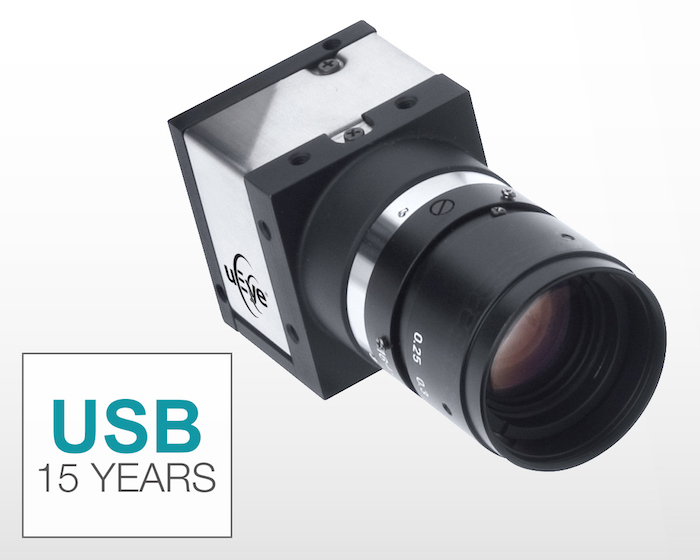 In April 2004, the first industrial camera with a USB interface from IDS Imaging Development Systems GmbH came onto the market. This makes IDS one of the pioneers of the use of this technology for high-performance digital cameras. The interface, which was already widely used in the consumer sector, was not considered suitable for industrial use at the time. Today – after 15 years – USB is firmly established in the industrial environment, too. "Our decision to use USB was initially smirked at," recalls company founder Jürgen Hartmann. "But we made the interface suitable for industrial use. USB is very strongly driven by the consumer market and therefore the ideal solution to develop cost effective yet powerful camera applications." Within one year, IDS successfully completed the transition from the development of analogue frame grabbers to digital industrial cameras. In the meantime, the interface, already in its third generation, has become an integral part of the market – as has IDS. With well over one million cameras sold, the company is now one of the market leaders in the industrial camera sector. The product portfolio has expanded significantly compared to 2004. The product range now includes over 600 models with USB 2.0, 3.0 and 3.1 Gen1 interfaces. Currently, the vision app-based industrial cameras IDS NXT with artificial intelligence provide groundbreaking developments and additional benefits for their users. The electromagnetic flowmeter is suitable for all municipal and industrial water and wastewater applications. The Promag W flowmeters feature all options to fulfill the requirements of the water and wastewater industry. They possess the necessary custody transfer approvals, Ex approvals as well as IP68 for underwater and buried installations. The devices are available with welded flanges as well as with lap-joint flanges. The 0 DN inlet option allows for guaranteed measurement performance of ±0.5% or better even when the meter is installed immediately after any obstruction. The three liner options, hard rubber, polyurethane and PTFE, have all necessary international drinking water approvals such as KTW/W270, WRAS, NSF 61 und ACS. The Promag W sensor is available in line sizes starting at 1” up to 90”. The device is calibrated according to ISO/IEC 17025. 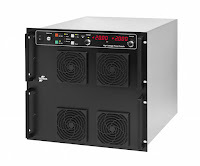 Proline 300/500 transmitters include a web server as a standard. Using a standard Ethernet cable and a laptop – or wireless over WLAN, users have direct access to all diagnostic, configuration and device data without additional software or hardware. This enables targeted and time-saving maintenance and service. Heartbeat Technology testing function is integrated into all Proline measuring devices and enables permanent self-diagnostics with the highest diagnostic coverage (>95%) as well as a TÜV-tested, metrologically traceable device verification without process interruption. All of this reduces complexity and hazards in a plant and increases its reliability and availability. The one-of-a-kind data storage concept (HistoROM) ensures maximum data security – before, during and after service. All calibration data and device parameters are stored securely on the HistoROM data storage module and are automatically reloaded after maintenance work. The HistoROM data storage module stores up to 20 timestamped event messages such as diagnostics and configuration changes. If the optional Extended HistoROM application package is selected, up to 100 of these events will be stored, along with the option to record up to 1,000 measured values via 1 to 4 channels. Installing spare parts is easy, saves time and thus reduces unnecessary downtimes. 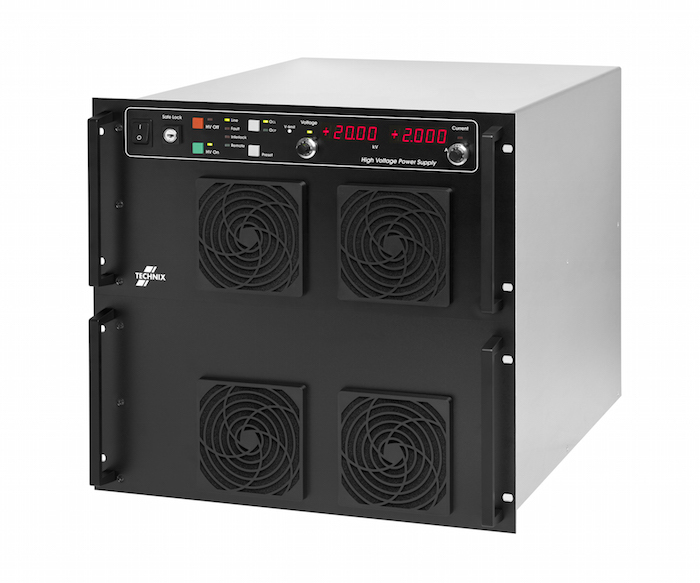 Powerstax has been appointed as distributor for the Technix range of high voltage DC power supplies and capacitor chargers in Great Britain. Technix products are in use worldwide by major OEMs and leading research laboratories. Micro-location is a rapidly growing, multi-billion-dollar market, covering applications in such diverse industrial markets as manufacturing, healthcare, logistics and security. According to research firm MarketsandMarkets, the micro-location market will grow from US$14.1 billion (ca €12.5b) in 2019 to US$34.1 billion (ca €30b) by 2024 at a compound annual growth rate of more than 19%. Factors driving this high growth rate include, amongst others, inefficiency of GPS solutions in shielded indoor environments and the increasing importance of asset management across various industries. Nanotron Technologies GmbH a wholly owned subsidiary of Sensera Limited (ASX: SE1) and location silicon provider >Decawave are shortening time to revenue for micro-location solutions by facilitating the interoperability of tags from different vendors and leveraging field-proven location infrastructure provided by nanotron. The Company has put more than 500 micro-location systems into service over the past 3 years with up to 5,000 tags per deployment – most of them running 24/7 in mission-critical applications such as livestock health for dairy farms, and mine safety and productivity in underground mines worldwide. Highly competitive location readers, also known as 'Edge Anchors', bring ease of deployment and scalability to location infrastructure build-outs. Edge Anchors synchronize wirelessly and function based on nanotron’s patented 'Sea of Anchor' time difference of arrival (TDOA) technology, thus eliminating system overhead costs normally associated with existing solutions. Nanotron’s Edge Anchors using Decawave’s Ultra Wide Band (UWB) transceiver chips are now open for use with any tag device based on the same silicon, thanks to a new communication protocol named 'Blink'. A sample implementation of 'Blink' on one of Decawave’s key products, the DWM1001 module, is publicly available at the Decawave Developer Forum and at nanotron’s website. Thanks to 'Blink', customers no longer need to deal with the complexity of location infrastructure themselves, yet still retain the ability to build their own optimized tag solution. They now directly benefit from ease of deployment and scalability by being able to build their own solutions with nanotron-provided location infrastructure resulting in lower overall cost and significantly accelerated time to revenue. Nanotron and Decawave signed an IP License and Co-operation Agreement in July 2018, targeting development of next-generation micro-location technologies. Both companies are expanding their cooperation by jointly promoting system scalability and interoperability between tags from different vendors with nanotron-provided location infrastructure utilizing the 'Blink' protocol. The initiative is aimed at accelerating the adoption of micro-location solutions and significantly increasing the sales volumes of tags and Edge Anchors. 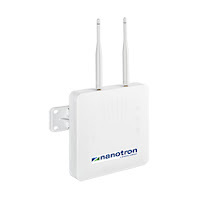 Dr. Jens Albers Nanotron CEO said "By combining any vendor’s tags with nanotron’s Edge Anchors, customers can easily rapidly deploy large systems consisting of thousands of tags. We expect to see these efforts generating significant incremental revenue."